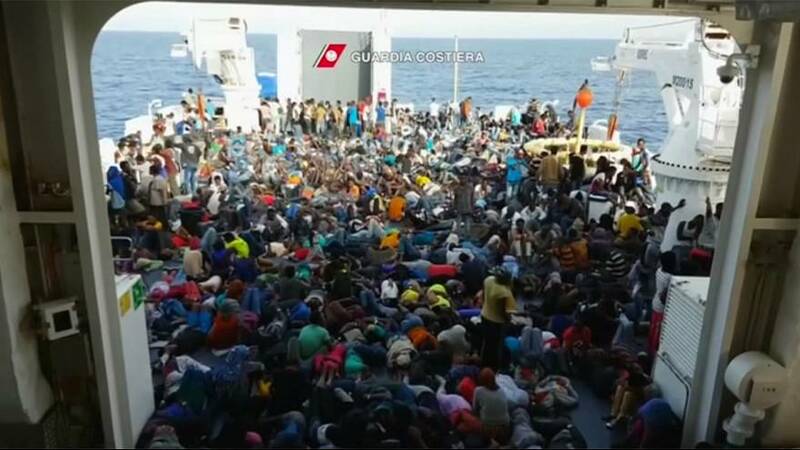 Italy has slammed fellow European Union members for not doing enough to take their share of refugees. Since the start of October more than 10,000 people from North Africa have added to the 460,000 refugees Italy is housing as one of the frontline states in the migrant crisis. Italian Prime Minister Matteo Renzi now wants EU funding of unco-operative countries to be slashed. In a parliamentary address Renzi said that Italy must lead the way in taking a “very tough position” towards those countries that have received a lot of money for belonging to the bloc, which they have used to stimulate their economies, but which he claims are now shirking their commitments towards relocating immigrants. Renzi was refering to the financial transfers to less-developed areas of the EU from which countries can benefit. Countries such as Hungary, which earlier this month voted against any future EU quotas. Along with Poland and other former communist states it is firmly against relocation quotas for refugees and say immigration, especially from the Muslim cultures of the Middle East , would disrupt their homogeneous societies. Slovakia also wants the EU to drop its relocation plan and work out an alternative, Prime Minister Robert Fico said earlier this month. Of around 39,000 refugees due to be relocated from Italy only 1,300 have been moved, according to the European Commission. Of 66,400 refugee relocations foreseen by the EU from Greece – which has borne the brunt of arrivals from Syria and other parts of the Middle East – so far only 4,600 have taken place, official data shows. Renzi stressed positive aspects of EU membership must be balanced by responsibilities. Amnesty International has published a report entitled, Rich nations’ self-interest means refugee crisis set to get worse, not better.